The knockout stages of the Champions League are upon us and some of the tantalising clashes are just one week away. 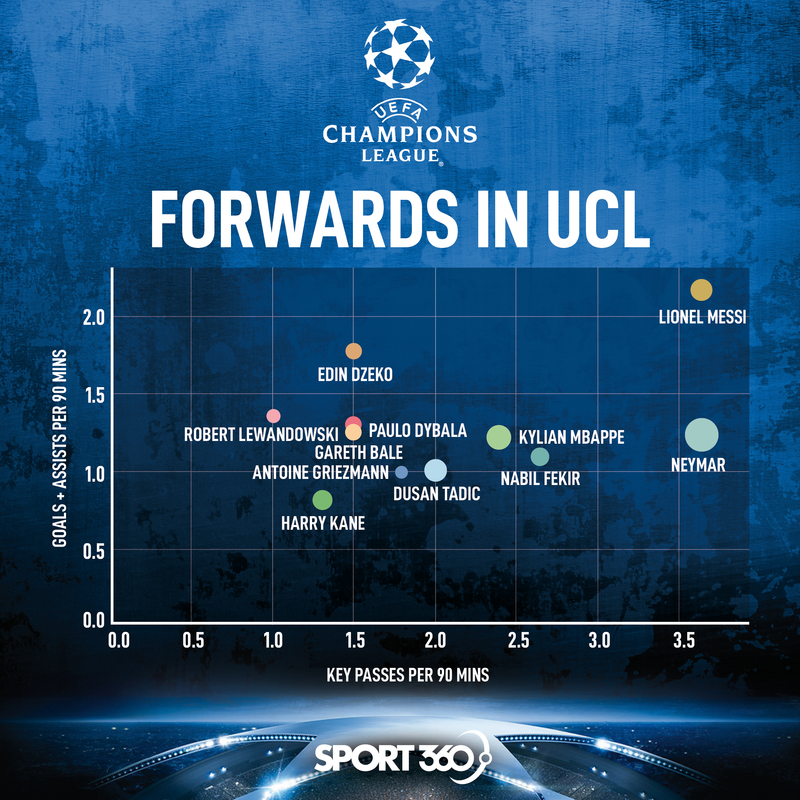 It’s time to look back at what the group stages told us about the best-performing forwards – and which are likely to fire again in the last 16. 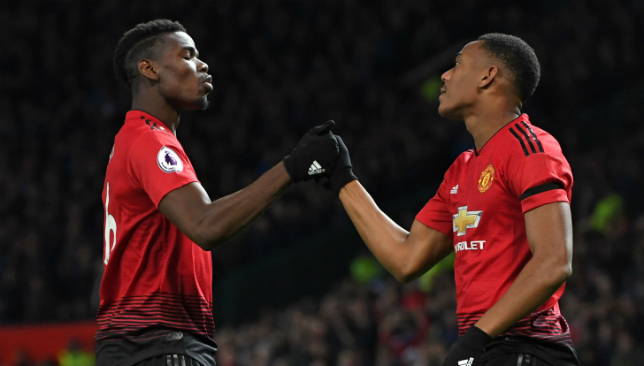 These players – or in one notable case, the absence of – could prove to be the difference in the crucial ties that are lined up for the next month. 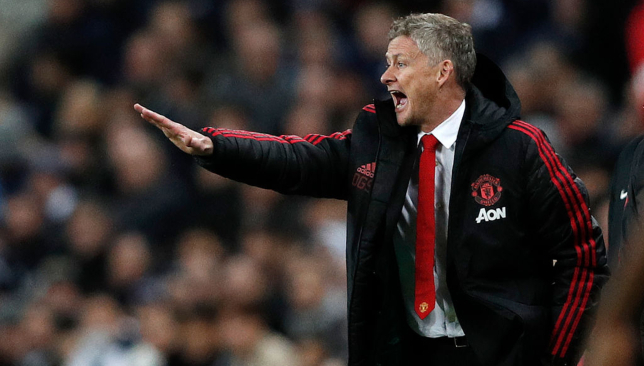 Below we’ve broken down the stats to watch out for, while taking into account the quality of the opponents that they faced in the group stages. The key-passes delivered by a player per 90 minutes is scaled on the x-axis, while the y-axis provides a measure of the direct involvements in goals (Goals+Assists) per 90 minutes. The size of the bubble is proportional to the successful dribbles per 90 minutes. We take a look at some of the observations. Lionel Messi has scored six goals and provided one assist in Barcelona’s campaign so far. Only Bayern Munich’s Robert Lewandowski (8) has scored more goals. Given that the Argentine has done so in merely 297 minutes, makes it all the more impressive. Messi is clearly the most creative player of the lot, with 3.6 key passes per game. The fact that he managed to achieve these numbers against quality opponents like PSV Eindhoven and Tottenham shows that he was probably the best player of the group stages, with only Neymar (whom we’ll get to later) as his rival in that regard. The five-time Ballon d’Or Winner will be licking his lips at the prospect of building on his impressive numbers as he heads to the knockout rounds of the tournament. 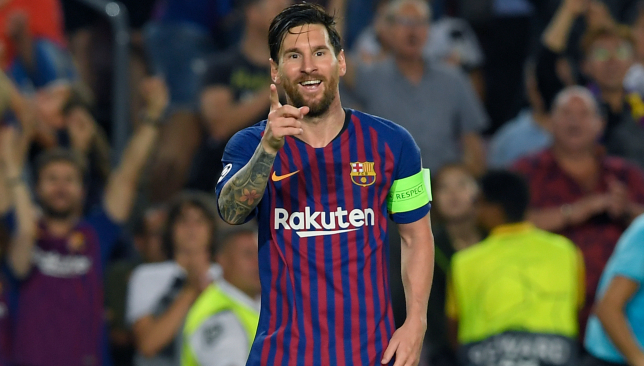 Messi will be up against a Lyon defence that has conceded roughly two goals a game on average in the group stages. While the French team can’t be underestimated, they are definitely not among the top tier of defensively stable teams in the tournament. 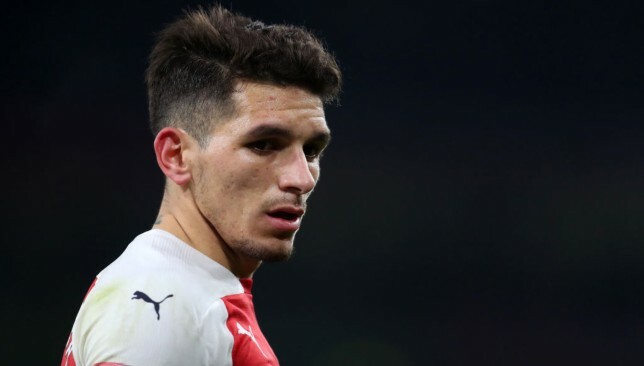 The Argentine can hence be relied upon against Lyon’s defence – and he may need to be given Lyon’s strength in attack, which we’ll see below. Despite Messi having a brilliant season – even by his high standards – Neymar was every bit as effective in the group stages, and perhaps even more. 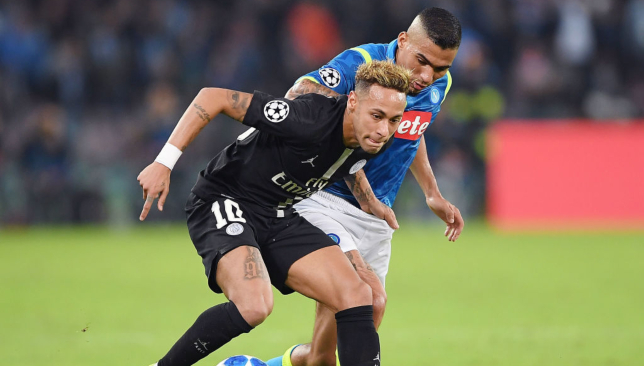 The Brazilian was involved in the same number of goals for PSG as his former team-mate was with Barca, while tying with him for key passes and recording a higher dribble success rate. 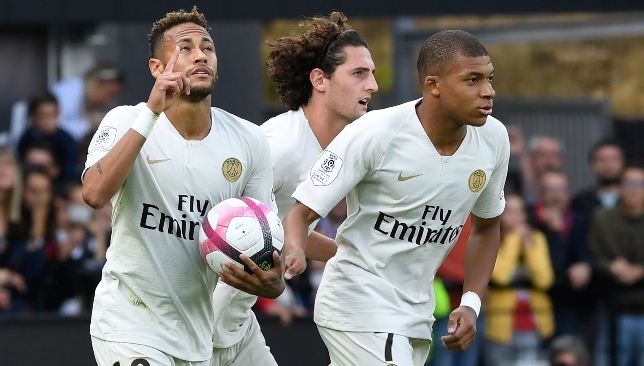 The absence of Neymar for the games against Manchester United due to injury will hence prove to be an even bigger blow for PSG than one would naturally assume, despite the presence of Kylian Mbappe and Edinson Cavani. 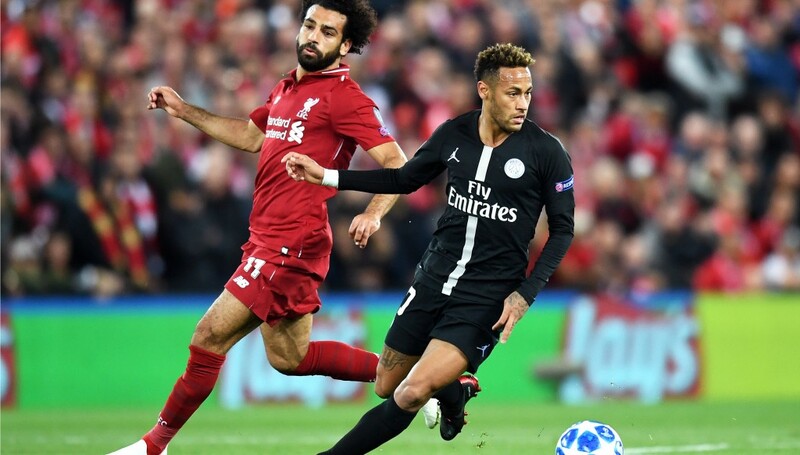 Neymar, who turned 27 on Tuesday, has been phenomenal in Europe this season, having engineered a much-needed 2-1 win against Liverpool. 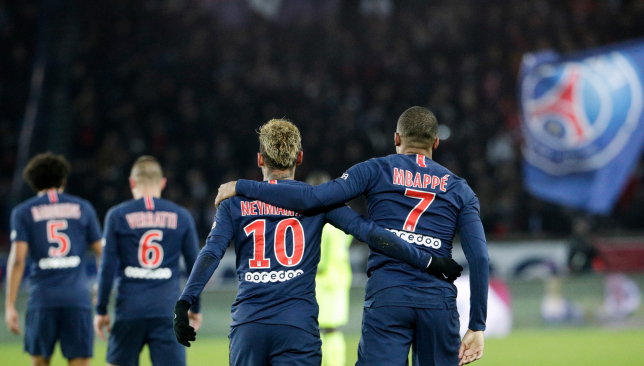 While Mbappe has been the poster-boy for PSG’s impressive season, Neymar has been the behind-the-scenes puppeteer who has pulled strings for their devastating attack. Key-passes, dribbles, goals and assists – the Brazilian has it all. It takes a string of extra-terrestrial performances to reach Messi’s numbers and Neymar has somehow managed to pull it off. Mbappe is very much capable of carrying the creative burden, but the fact that Edinson Cavani has been quiet – he didn’t even make our list of top performing group-stage forwards while benefiting from Neymar – should be a concern for PSG. Therefore Mbappe will have to bring out his best performance to fill Neymar’s void, but he could still fall short. The entire team has to step up to make up for it. Could new signing Leandro Paredes help in the creativity department from midfield? With a goal and assist in Lyon’s win over Manchester City at the Etihad, long-term Liverpool target Nabil Fekir has shown that he is capable performing against the big guns. The Frenchman can operate as a forward, on either wing and as a number 10. He has been most lethal in the latter role if the bubble chart is anything to go by. Only Neymar and Messi have been more creative than the 25-year-old in the group stages. 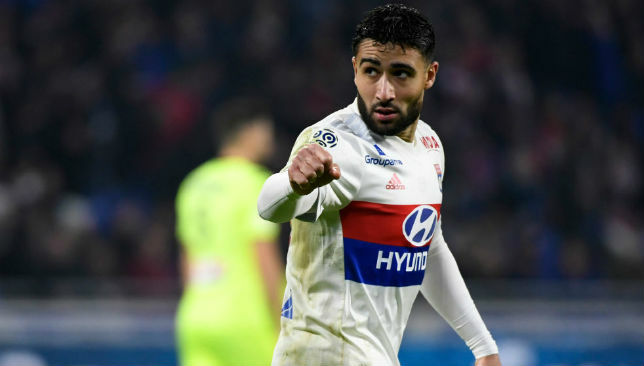 Given that Fekir displayed his playmaking abilities against the likes of City, Shakthar Donetsk and Hoffenheim makes a case for why he could light it up for Lyon against Barcelona. With young French talents Tanguy Ndombele and Houssem Aouar behind him, Fekir could lead an extremely promising midfield to an unlikely win over the Spanish giants. The fact that Blaugrana anchor Sergio Busquets has been fairly average this season further casts doubt on whether this tie will be a walk in the park for Barcelona.